Picking the Right Soft-Sided Dog Crate? While dog owners love to take their dogs to wherever they go, travelling with your dogs can be a bit tricky at times. Dog soft crates, or soft-sided crates, are meant to give your dog a comfortable and safe place to rest while travelling. A lot of dog owners use their soft crates as a comfortable den at home, too. Soft dog crates are generally small since their mesh panels wouldn’t support a very large or heavy dog. However, they are unbeatable in terms of portability and storage: just fold then up and forget them until the next time you need them. 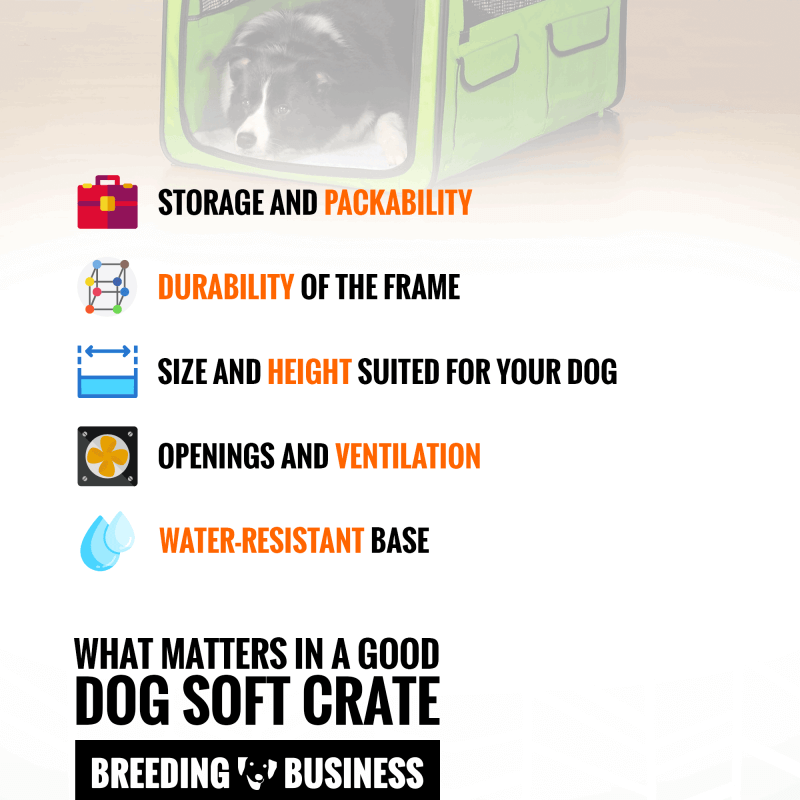 Let’s first look at the main features you want to focus on when choosing the best soft crate for your dog. With so many different types of soft crates available out there, choosing one that serves your dog’s requirements can be confusing. While buying a soft-sided crate, consider the following factors that all play an important role in determining how good or suitable a soft kennel is going to be for your pet. The soft-sided crate you buy for your dog must come with easy storage options. Since a soft crate is primarily used for outdoor purposes like travel, it must have features that ensure seamless transportation and storage. For example, be sure that the crate you are buying is easily foldable and has a soft fabric; however, it must also have a reliably strong wiring. When your dog isn’t in the crate, you should be able to fold it in seconds and store it away to save additional space. Holding handles or a storage bag are an obvious welcome addition but not necessarily required. Some of the best dog soft crates available out there are made of high-quality materials and therefore, are usually durable. However, as a dog owner, you have to evaluate the nature of your dog to determine how sturdy you want the crate to be. Soft-sided crates and kennels are perfect for calmer, smaller dogs. However, if your dog has an overtly destructive nature, the crate fabric might be subjected to frequent wear and tear (too soon.) Remember that such soft crates offer very little resistance against determined dogs. Soft crates are not product meant to keep an unsupervised dog safely contained for hours. Instead, it is good as a supervised temporary enclosure. Important features in a dog soft crate. Customers are often found complaining about the size not being large enough or tall enough for their dog. A crate has to be spacious enough to accommodate your dog and make him or her feel comfortable at all times; the dog should not appear to be crammed inside it somehow. Here is a little measurement trick that you need to follow while buying: make your dog steps inside the crate, and check if he/she can stand on his/her feet inside without bending or hitting the head on the ceiling. Dogs inside crates should be able to move freely around any side they choose. At the same time avoid buying too big a crate for their needs because they may become too agitated inside. A suitable crate’s size should be such that promises just the right amount of space for your dog to turn around, stand up, and move with ease. Ventilation is a must for any animal enclosing device (kennel, airline crate, or any other type), as your dog should never feel suffocated while being confined in the crate, especially over long distances. The more the number of openings, the better will be the flow of fresh air and sunlight. With adequate openings, the crate will continue to be comfortable for your pet and he/she might love snuggling up inside it. 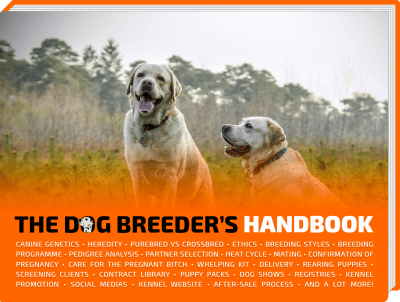 Keep these factors in mind to be able to get a product that seems to be meant just for your dog. Buying the most suitable soft crate requires careful consideration of the pros and cons of each product available out there. Here is a list of the top 6 best soft dog crates that are worth checking out, and potentially buy. The EliteField 3-Door Folding Soft Dog Crate is 36″L X 24″W X 28″H in size (but comes in 4 other sizes) and is one of the most spacious soft sided crates that you will find out there. Made of strong steel tube, it comes with a cover made of durable 6000 fabric and hex mesh fabric ensuring excellent ventilation and breathability for your pet. A free carrying bag and a fleece bed accompany this crate, which can easily be folded for seamless transportation and storage. This foldable soft crate promises enough space for your dog to move around comfortably inside the crate. The crate has been manufactured with special attention to its height as a result of which, your dog can even stand on its feet without his/her head being hit by the ceiling. The 3-mesh door structure allows fresh air and sunshine to get inside the crate while also helping your dog to enjoy a much-needed outdoor view. It is one of the most durable varieties that you will find out there. 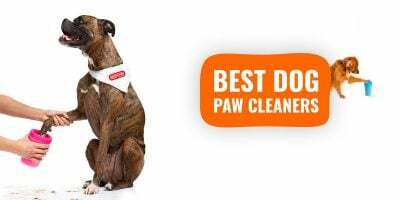 However, make sure that the dog is house-trained because frequent washing of the fabric might not be a good idea. The strength and quality of the zippers of this crate might seem to be a little less satisfactory. 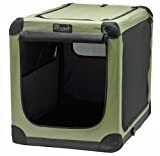 Having said that, if you have a calm dog who loves to travel with you, this soft-sided crate is a very much recommended one for sure. The NOZTONOZ Sof-Krate comes in five different sizes with 42″ inch in height being the tallest one, and 21-inch being the smallest. This soft crate is meant for both indoor and outdoor use and is made with new heavy-duty tight-weave mesh fabric for enhanced durability. With the capacity of carrying pets up to 90 pounds for this biggest model, this crate can be set up within minutes in a hassle-free manner. Some of the most remarkable features of this soft sided crate include a steel tube framing for strength, a washable cover, a strong water-resistant base, and a tight woven mesh, all contributing to the ease of using this premium crate regularly. The crate opens from the top and can be folded flat with buckled straps. No matter where you are travelling, storing it is always easy. Similarly, your dog never gets bored staying in the crate because he/she gets enough ventilation and fair outdoor view. The material of the crate could have been a little thicker and stronger but that does not come in the way of the safety and comfort of your pet. Just allow your dog to get familiar with the crate inside your home before carrying him or her in it over long distances. 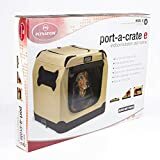 The Petnation Port-A-Crate E2 soft-sided crate is available in five different size specifications with the 32″L X 23″W X 23″ H being the most common one. With a carrying capacity of dogs weighing up to 50 pounds, the Port-a-Crate E2 by Petnation is a great choice when in need of portability and transportation-friendly features. This relatively low-cost crate comes with a pretty but a little small bone cutout window. One of the best features of this soft-sided crate is that it can be assembled in seconds without any sort of tools whatsoever. There are mesh windows allowing free airflow and doors on the front and top. The crate brings a measuring guide for owners to be able to pick the right size for their dog. As for downsides, this crate (like most other soft crates) requires your dog to be potty trained. Make sure that your dog enjoys the crate, because this model would not last long with an aggressive chewer. It would lead to torn mesh or a broken zipper. Another downside, the Petnation crate does not include any padded mat or blanket that would offer touch of extra comfort. You have to purchase one separately before setting out to use this crate. The Arf Pets 3-Door Soft Crate for indoor use is available in two sizes: 26″ inches and 36″ inches long and has a carrying capacity of pets weighing up to 70 lbs. This soft sided crate developed by Arf Pets is ideal for those looking for a crate with large mesh windows and air passages on all four sides of the crate. This soft crate by Arf Pets comes with three-way entry points and mesh screens to keep insects away without blocking the outdoor view. The soft crate kennel is a decently large and sturdy soft-sided crate. The crate body is made up of heavy duty all-steel frame while the base is water resistant and washer-friendly. As such, cleaning and maintenance is quite easy with durability being a stand-out advantage. Whether you are at a party, or a neighbour’s house, or travelling on the road, this crate can function as a safe den for your dog. The three different openings of the crate, however, makes the zippers a little weak. 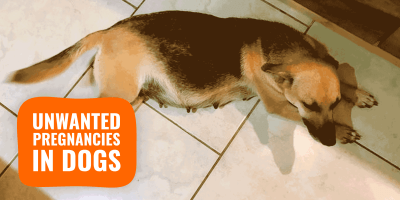 As such, these can pull apart easily if your dog puts pressure on the doors for extended periods of time. The material of the covering is also not very durable given that the crate is so spacious and sturdy in so many other aspects. Overall, it’s a wonderful product that we do recommend, even though there could be a few improvements made to it. 2PET Foldable Dog Crate comes across as one of the best-in-class soft crates that combine multiple functionalities. 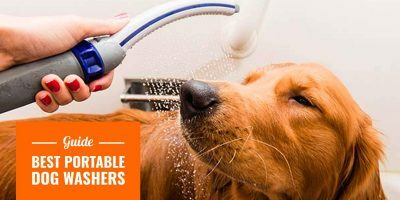 Whether you want it for indoor keeping, outdoor purposes like travel, training and so on, it will turn out to be a perfect choice for your dog. The 2PET foldable dog crate has several ingenious features and comes in five different sizes. With a medium size of about 24″L X 17″W X 17″H, the crate comes with shoulder straps and handles and boasts of steel tubing that accounts for the strength and durability of the accessory. Cleaning and maintaining this crate is easy because of its Oxford 600D fabric cover that is water resistant, machine washable and fully removable too. If one of your main concerns is easy foldability, this crate is the ideal one for your dog. Your dog will simply love to curl up inside this sturdy soft sided crate. As explained by k9ofmine, The only downside of this crate is that the door is a little smaller for the size of the crate and therefore, might seem a bit cumbersome for dogs who love to go in and out of the crate. Also, the zippers and mesh appears to be little weak for a crate of such specifications. Here at Breeding Business, we love AmazonBasics products: they are very simple yet practical quality products. And their soft travel crate is not disappointing for its very low price. 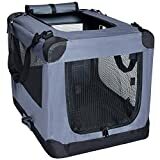 The AmazonBasics Soft-Sided Pet Travel Carrier comes with robust carrying handles and adjustable shoulder straps. The fleece that it accompanies is machine washable making the dog soft crate easy to clean and maintain. With an apparently simple look, the inside of the carrier stands out by virtue of its functionality and extra comfort. Made of some of the best-quality materials, the carrier is amazingly lightweight and therefore, promises hassle-free carrying, storage and transportation. This dog soft crate is available at a very reasonable price. So, if the simplicity of the crate is your priority and yet, you want it to be safe, strong and comfortable for your dog, go ahead with this one and you will not be disappointed. 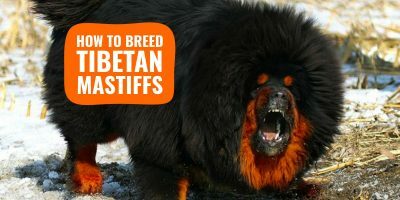 However, I would not recommend this product for dogs larger than toy breeds. Dog crates can be wired too and wired dog crates come with several advantages for particular types of dogs. The best part of the wired crates is that they are good for aggressive and destructive dogs, who can easily chew into the fabric in order to escape from soft-sided crates. Also, wired crates are easy to clean with a removable floor tray, avoiding mess inside the enclosure. Noise-Free — have you ever had a metallic in your bedroom? If you have, I needn’t say more; these things are extremely noisy! 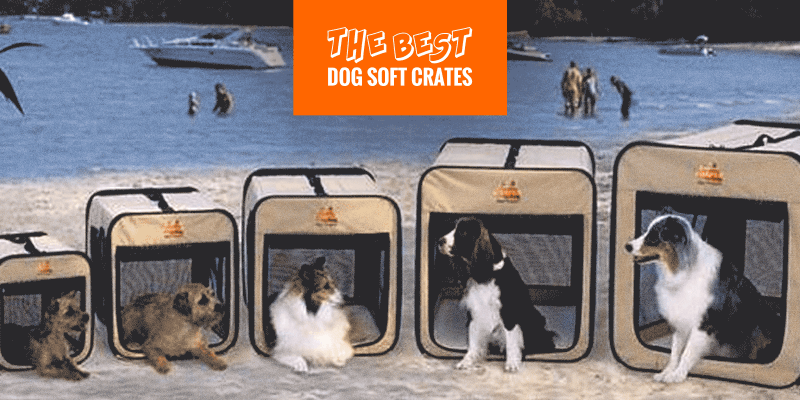 Dog soft crates are must-have travel accessories for any dog owner or dog breeder. Whether you want to take your dog for a car ride, or to a friend’s home, you will keep your pet safe and comfortable for a few hours. One the trip is over, it takes seconds to fold away and hide from sight! Consider your dog’s nature, behaviour, tendency and requirements before buying a soft crate since these are not built for strength and resistance by design.